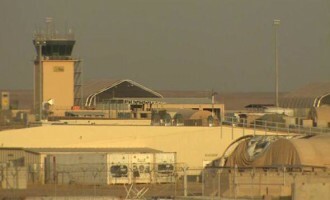 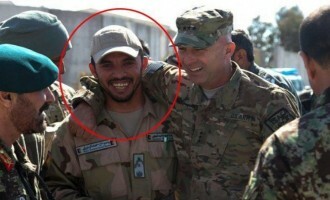 The Afghan Taliban claimed killing three American soldiers and wounding four others amid clashes in Uruzgan. 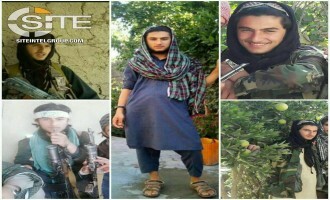 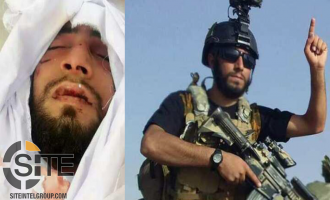 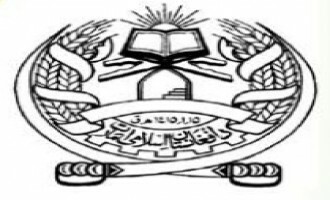 The Afghan Taliban denied reports from the Afghan government about the death of the mastermind of the January 21, 2019, three-man suicide raid at a National Directorate of Security (NDS) base in Wardak province. 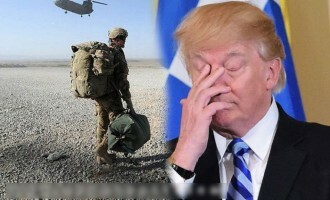 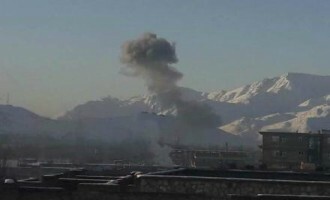 The Afghan Taliban claimed killing over 90 Afghan commanders, officers, and troops, and wounding more than 100 others, in a three-man suicide raid at a National Directorate of Security (NDS) base in Wardak province. 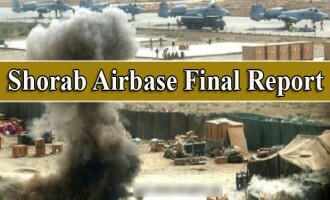 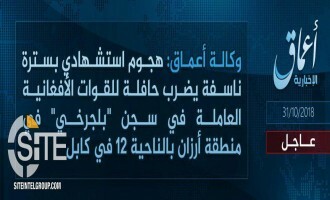 The Afghan Taliban reported two attacks on enemy convoys in Faryab province in northern Afghanistan, allegedly inflicting a total of 16 casualties among foreign forces, identified in one instance as Americans. 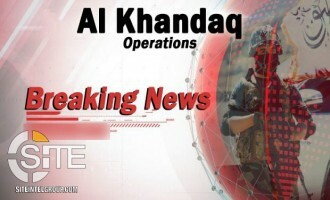 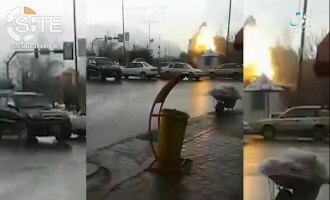 Afghan Taliban Claims Leveling Military Center in Kandahar Through "Tactical Explosion"
The Afghan Taliban claimed leveling a military center in Kandahar through a "tactical explosion" and inflicting casualties among 35 Afghan commandos inside. 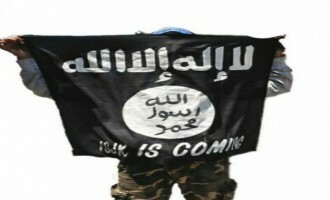 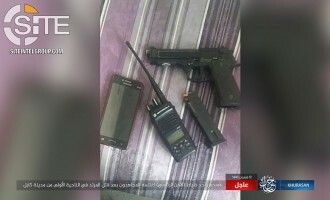 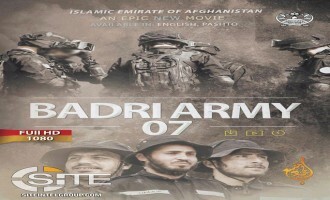 The Afghan Taliban gave a detailed report on the five-man suicide raid at the compound of the UK security contractor G4S in the capital, Kabul, and threatened that similar large-scale operations are currently being planned. 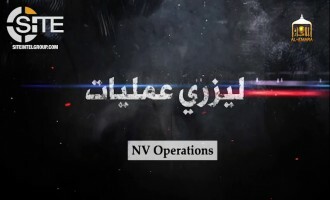 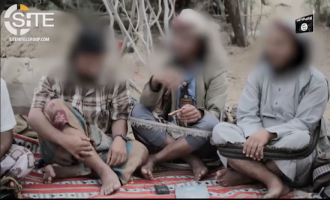 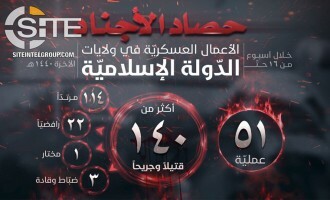 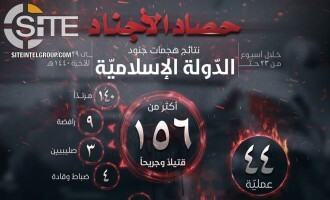 The Afghan Taliban's Manba al-Jihad Studio released a video on the October 17, 2017, 8-man suicide raid at police and military facilities in Paktia allegedly inflicting 439 casualties total. 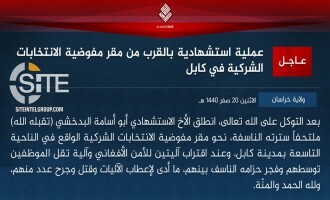 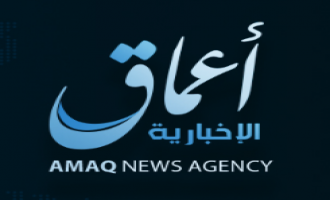 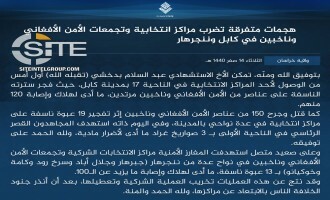 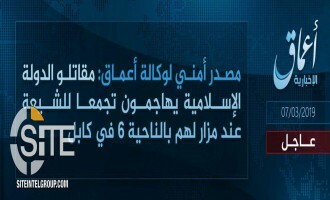 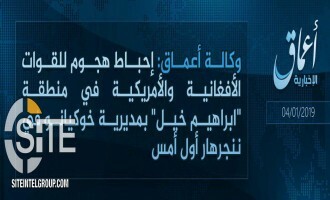 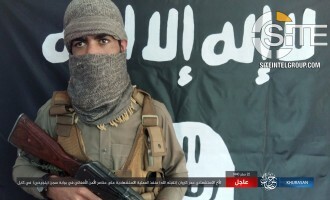 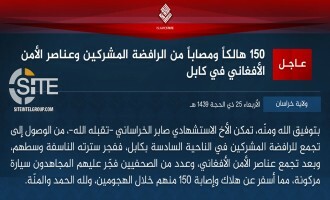 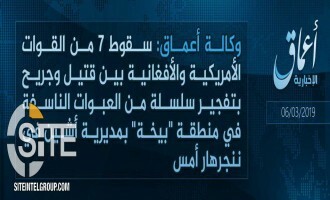 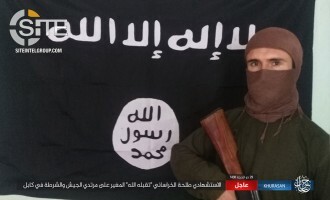 The Islamic State's (IS) 'Amaq News Agency reported a total of 160 casualties in a suicide bombing perpetrated by an IS fighter in Khost, Afghanistan. 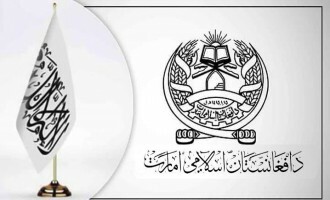 The Afghan Taliban condemned the attack at the Uranus Wedding Hall in the capital and accused "Kabul administration intelligence circles" of fabricating a claim of credit. 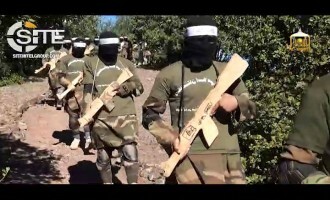 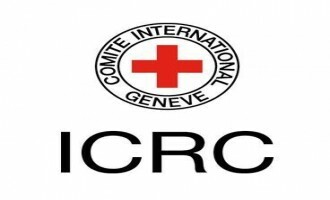 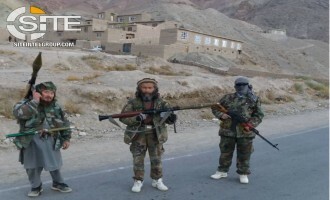 Responding to the growth in Hazara militias, and the Afghan government authorizing such a group in Bamiyan province, the Afghan Taliban assured that its fighters do not target individuals based on their sect or ethnicity. 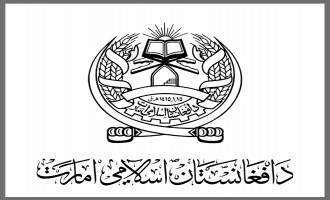 Afghan Taliban Comments Positively on Moscow Conference, Calls it "Positive Step Towards Resolution"
Commenting positively on the Moscow conference in which a delegation from its Political Office participated, the Afghan Taliban called it a "positive step towards resolution". 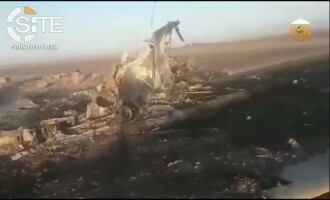 The Afghan Taliban claimed shooting down an Afghan military helicopter by RPG fire in Farah province and provided a video of the wreckage. 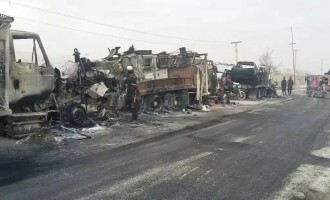 The Afghan Taliban threatened to shut down private transportations companies it determines to have violated agreed upon rules. 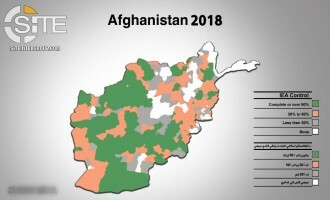 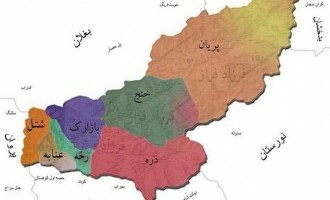 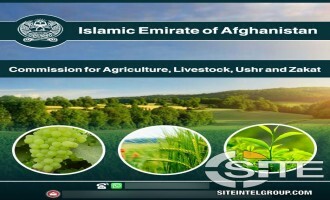 The Afghan Taliban provided a summary of what it called its "jihadi progress" in Panjshir province in northern Afghanistan, boasting of its controlling the supply routes and "shattering" its defensive lines. 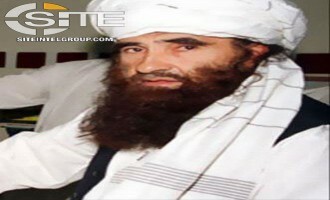 The Afghan Taliban released a statement from the Haqqani family eulogizing its patriarch, Jalaluddin Haqqani, and noting his parting advice on continuing jihad and maintaining the cohesiveness of the Taliban. 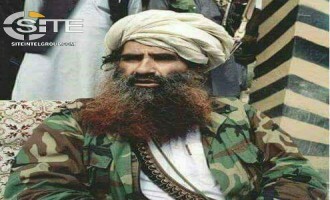 The Afghan Taliban announced the death of Jalaluddin Haqqani, a member of its Leadership Council and the head of what is known as the "Haqqani Network".